For £23.00, you have 6ml of the NARS concealer, which is undeniably quite expensive when you consider that the NYX will cost you just £6.00 for 3ml. Yes, the NYX concealer is half the size, but even if you bought two of them, you are still paying only £12.00, just over half of what you've spent on the NARS concealer. Whilst my local Boots did not have very many shades to choose from, maybe 5 or 6, the NYX concealer does come in quite a wide range of shades to suit many different skintones, especially compared to other drugstore items (hello Maybelline Age Rewind Eye Concealer, I am looking at you right now). The NARS concealer is also available in a number of shades and undertones so I am sure you will not struggle too much finding one that is suitable! Both concealers come with a doe foot applicator, which is excellent. If either had a brush or sponge applicator, I wouldn't even have considered them for this round. I noticed little difference between the application of the two; I only had to use one dip of each and both easily glided on to my under eye. I decided to test the concealers on my under eyes, and for both I used my damp beauty blender to blend. I did feel as though I had to put in a little more effort with the NYX concealer, and had to use a slightly firmer hand to make sure the product was blended to my satisfaction. I used my beloved Laura Mercier Loose Setting Powder to set both concealers. One of my all-time favourite combos is the NARS concealer with the Laura Mercier powder, so I think in my heart I already knew who was going to win. But, don't get me wrong, the NYX concealer did come very close! I only found there to be a little creasing in the inner corner. One part of my make-up that I want to last all day is my concealer, especially my under eye concealer. I do sometimes use a colour corrector base, but I wanted to test both of these without. Despite there being no creasing with the NARS concealer, I did find my dark circles peeking through as the day went on, and to my surprise, I didn't notice this with the NYX concealer at all. 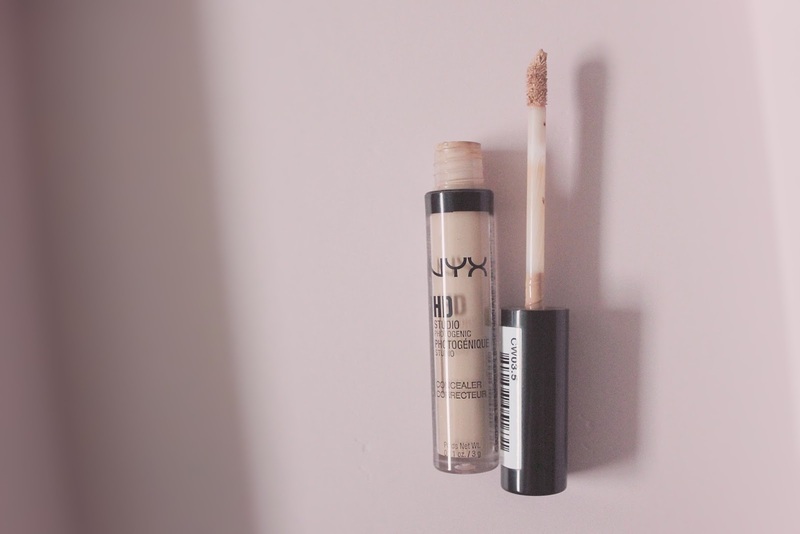 When applying these concealers to disguise any patches of redness, the NARS lasted much longer, however as I focus my concealer on my under eye, I really liked the NYX concealer for longevity. Save: You can purchase the NYX concealer here! Splurge: You can purchase the NARS concealer here! Have you tried either of these concealers? What did you think? There is no denial that even when Dupes are acceptable más doing their job, the high end quality cannot be duplicated. I recently started using TF Born this Way and girl, it totally justifies the price tag. So as you said, I will keep purchasing the high quality product every time.